Mortgage applications from most women and women with co-applicants are less likely to be originated than mortgage applications from men and men with co-applicants, even controlling for loan-to-income ratio. The disparities between the origination rates of men and women persist across both conventional and government-backed mortgages. Mortgage applications from low-income women were the only ones more likely to be originated than mortgage applications from men of similar income. Bank of America, US Bank, and Wells Fargo had above-average gender disparities across all categories for purchase loans, while Fifth Third Bank, Provident Funding Group, and US Bank had above-average gender disparities across all categories for refinance loans. 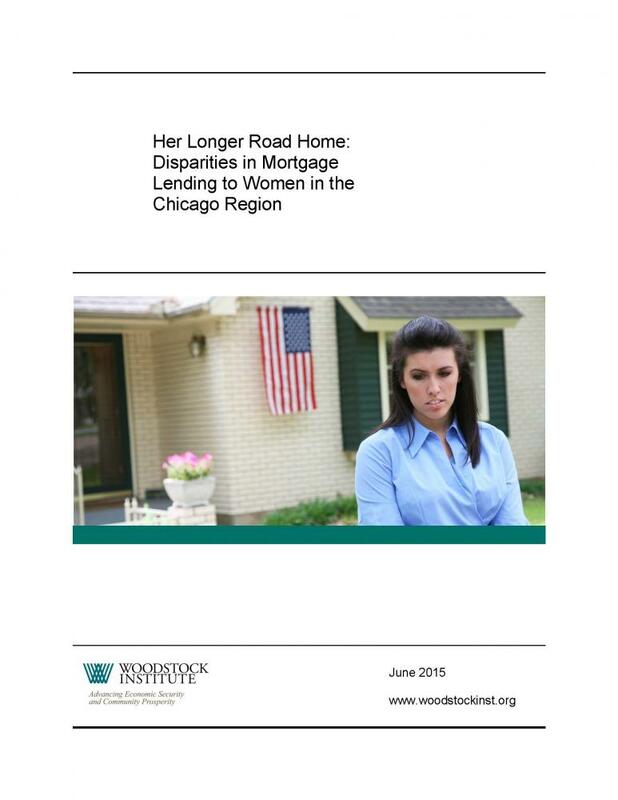 Disparities between male and female origination rates were highest in Will County for both purchase and refinance mortgages, while disparities between male-headed and female-headed joint application origination rates were highest in Will County for purchase mortgages and in DuPage County for refinance mortgages. There were significant disparities in the reasons for denial between female applicants and male applicants. Mortgage lenders should examine their mortgage lending processes to detect and correct potentially discriminatory practices. Regulators should further investigate possible gender discrimination in mortgage lending practices, particularly for lenders with above-average disparities. The Consumer Financial Protection Bureau must expeditiously finalize enhancements to the Home Mortgage Disclosure Act. Policies to reduce the gender wage gap should be expanded and enforced.